This sought after neighborhood is in close proximity to the CORE, or downtown Calgary’s shopping hub. Elbow Park has no shortage of character and heritage homes. This serene neighborhood is highly desirable and has a reputation for its exceptional selection of shops and restaurants. Originally known as American Hill, the Mount Royal community has always been known as one of Calgary's most esteemed areas with its remarkable modern architecture and close proximity to downtown Calgary. 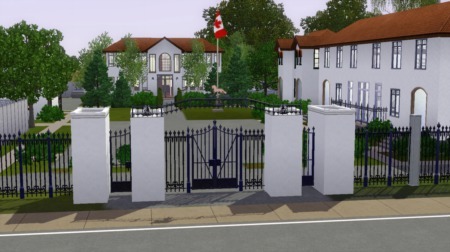 Mount Royal is filled with renovated heritage homes and entirely new builds that embrace an everlasting majestic feel for the many single family residences. Upper Mount Royal rests on a large hill immediately south of the Downtown and Beltine regions, giving the community’s fine real estate widespread views of Calgary’s skyline. Lower Mount Royal has a thriving condo market and growing luxury real estate scene. Mature trees and elegant views of the Elbow River Valley best describe the charming British inspired community. Take a stroll in the magnificent downtown cityscape and allow yourself to be transported to another time. A short drive to the CORE is convenient for professionals who want an exclusive feel without the long commute to work. Because the tiny community wasn’t developed until the late 1950s, these well-established British themed homes are among the most desired of Calgary’s real estate due to their distinct uniqueness. This prominent, roughly 500 home neighborhood consists of single family homes with no low income or rental properties. Bel-Aire was designed to complement its breath-taking natural surroundings such as the river, flora and fauna. Enjoy the intimacy of this neighborhood which also offers infinite recreational fun. The Glenmore Reservoir and Calgary Golf Club are just a couple of area highlights along with plenty of parks and mountain views. Aspen Woods ranges from the $700 mark for a single family home all the way up to $12M, the price of Calgary's most expensive home ever to hit the market. Calgary’s newest community is home to just under 1,000 people. It offers sophisticated, chic homes set enchantingly amid expansive lots dotted with vivid aspen trees. This highly modern country living community is conveniently close to beautiful natural attractions, Calgary’s downtown district and other amenities. As of July 2012, just under $1M is the average sale price of an existing residential home in Aspen Woods. There are wide variety of home styles and condos to choose from. Beautiful homes Crystal! Are you personally listing any of these at this time? Yes Andrew- I do work the luxury market from time to time. But I work a broad spectrum from 1 bedroom condos with first time buyers all the way up to multi million dollar homes. I like the challenge of the different markets and love working with clients from all backgrounds. There are some truly amazing homes in Calgary as we grow and become more metropolitan the entre city benefits largely from great shopping, restaurants and of course the economy feeds itself back.